The Comets are just over a week away from their home opener on November 1; aside from the inaugural season, this is set to be the most anticipated home opener to date, as next Wednesday will serve as the officially unveiling for the 26,000-square foot addition, also known as the West End Expansion Project. 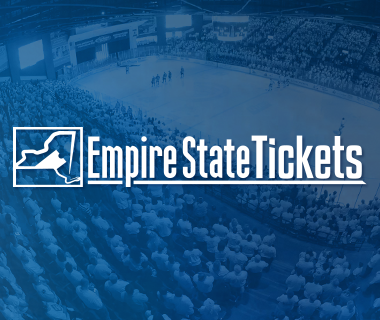 Throughout the summer, the Comets ticketing department has collaborated with the arena staff to elevate premium seating and group seating options throughout the Adirondack Bank Center. 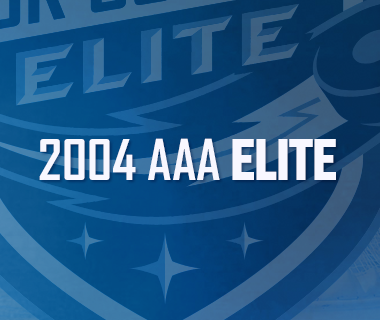 The result is a greatly enhanced array of options for those looking to watch the Comets in style with their family and friends. 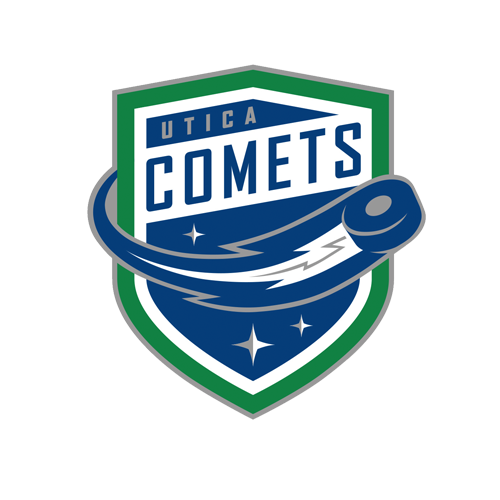 In total, the Adirondack Bank Center has four options if you are looking to enjoy a Comets game with a group. 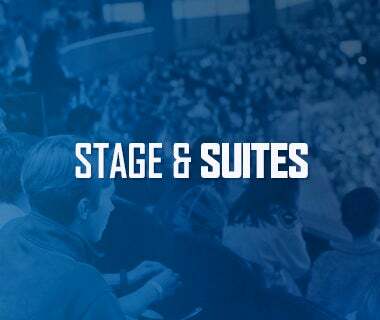 The two most notable additions to The AUD – the six executive suites and Zuhaus – are brand new for the 2017-18 season, and are the two premium options offered at the arena. While the six executive suites have been sold to owners, there are already a collection of dates that they will be sold on a game-by-game basis. The suites hold up to 20 people, and offer unobstructed, elevated views of the ice. Each suite features a 70-inch HD television, Dreamseats stadium seating, a dedicated sitting area with a couch and loveseat, a private bathroom, a private suite attendant, and the option to purchase food and drink at your leisure. The other main component to the West End Expansion Project is Zuhaus – the premium seating option that was made for you if your group is too large for a suite, or if you want to go above and beyond for a birthday party, bachelor or bachelorette party, or corporate event. Zuhaus, which means “at home” in German, is a ‘down the rabbit hole’ experience, featuring a 90-inch HD television, illuminated bar with the ability to change colors, foosball table, photo booth, unique & local artwork, a private attendant, and an extensive catering menu. Zuhaus can accommodate up to 49 guests, and comes with 12 parking passes. A familiar group seating option at The AUD is coming back this season with some key improvements and additions. The stage, which is set at the East end of the ice, is an elevated group seating area for up to 40 guests. The stage has been a hit for the past four seasons, as it offers a unique perspective of overlooking the goalie (visitor’s goalie x2) and provides the feeling of being a part of the game. This season, however, the stage can be laid out in a number of differing options, customizable for your personal needs. Layout options include lounge seating, a video game setup, bar top tables, and standard stadium seating. Purchasing the stage also grants you a welcome message on the video board, as well as access to a private restroom and the extensive catering menu. The final group seating option, the Zetlin’s Suite, is a private suite on the East end, adjacent to Zetlin’s Lounge. The Zetlin’s Suite holds up to 20 guests, and comes with access to Zetlin’s Lounge, a private member-only bar that is connected to the suite. The Zetlin’s Suite also comes with five parking passes, a private restroom, an HD television, autographed item, and access to the extensive catering menu. 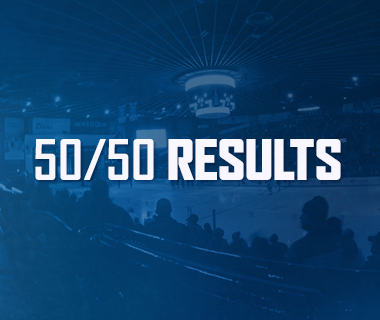 Whether your group is 20 or 49, the Adirondack Bank Center has an option that will best suit your needs. The ticketing department is always available to help provide you with the ideal experience – an experience that can always be customized and amended to leave you with unforgettable memories. 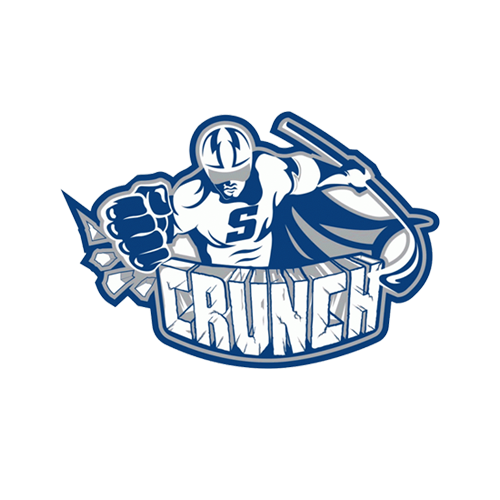 Anyone interested in premium or group seating at The AUD for the 2017-18 season should contact the ticketing department at 315-790-9070 for more information.